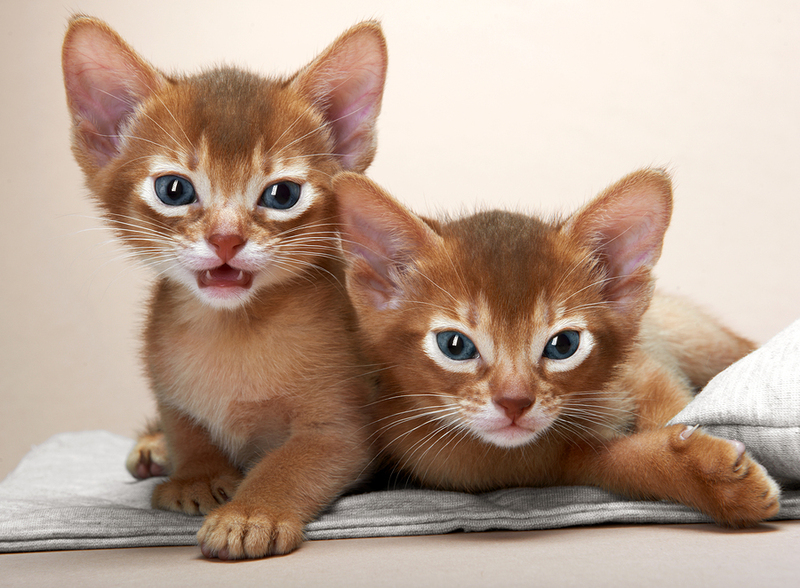 A short-haired domestic cat, the Abyssinian is highly cherished by owners for its cute almond-shaped eyes and overly expressive face. 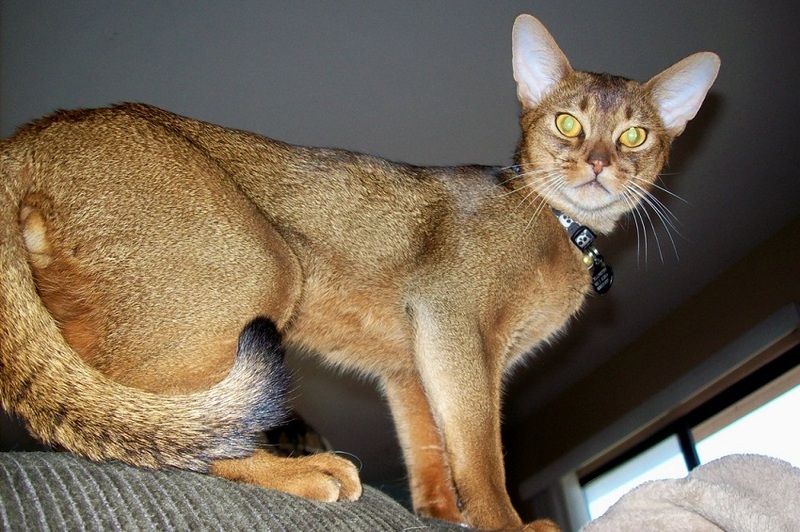 Earning its name from the country of Abyssinia, where it is supposed to have its roots, this alert, active and energetic feline would keep you on your toes always. There is various speculation regarding the history and origin of these cats, which happen to be one of the most ancient breeds. 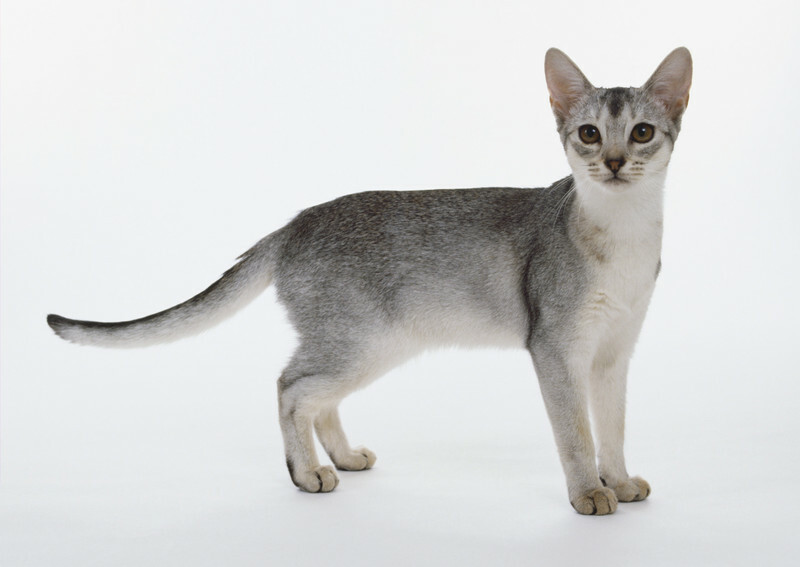 Their elegant appearance, muscular built, long arched neck, big ears and lovely almond eyes make them similar to the Egyptian cats of olden times as seen in drawings and sculptures. 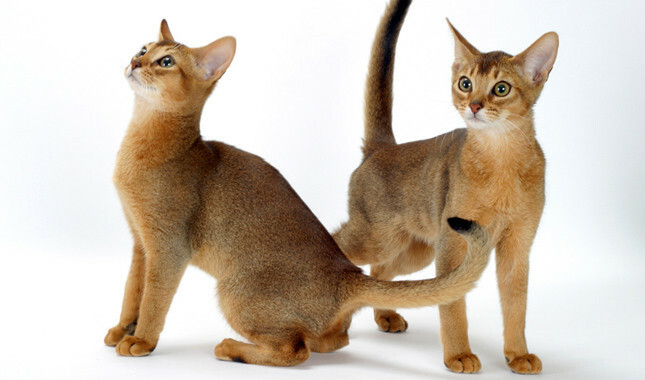 However, another theory, published in the year 1874, suggest that after the Abyssinian war ended in 1868, Zula, a ticked coat feline was brought to England by the British troops. 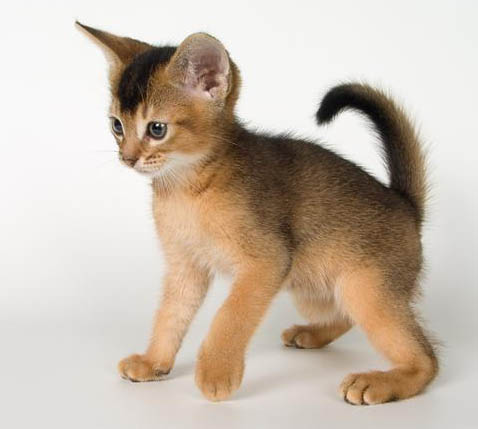 In fact, it is also said that the cats were named so not because they belonged to the country, but were the first to be imported from there to Britain. However, no concrete evidence exists to validate that the Abyssinians were the ones to be taken to England. 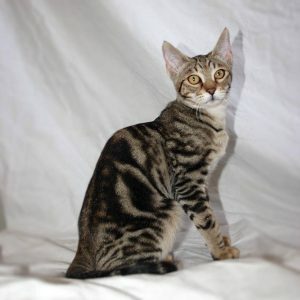 British breeders are of the view that these cats were created by crossing the brown and silver tabbies with the ticked breeds. 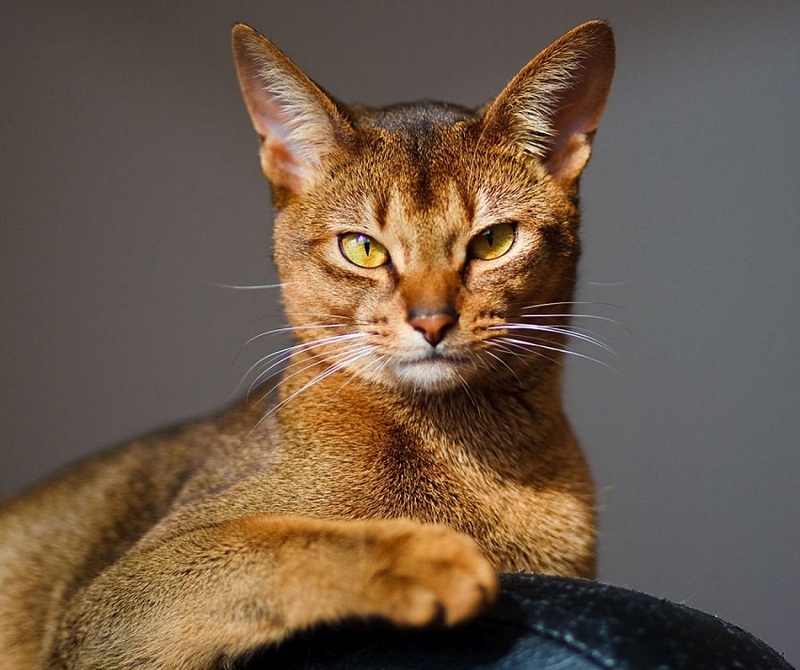 Geneticists in their recently conducted studies revealed that the cats spotted around the Indian Ocean and Bay of Bengal region happened to be the ancestors of the Abyssinian. They reached the United States of America in the 1900s, though the top quality ones that formed the founding stock of the breed in America were not transported until 1930, gaining immense popularity owing to their coat texture, expressive eyes and striking behavior. 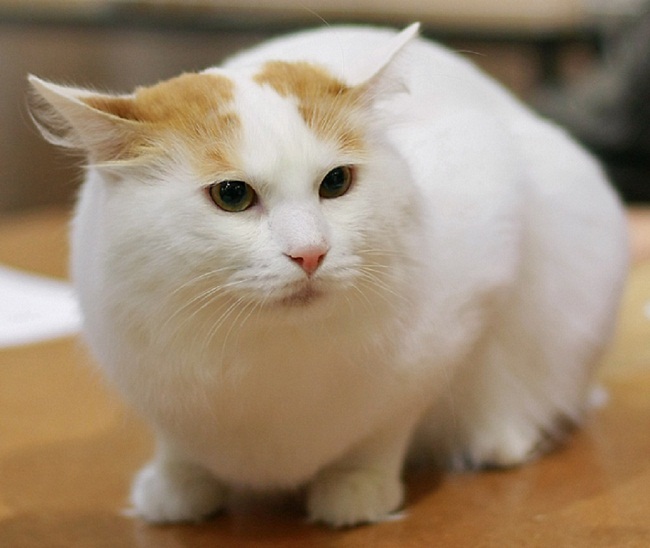 Is an intelligent cat, loving to interact with its owner and other family members. Possesses an infinite deal of curiosity, always keen to know whatever is happening around, with the minutest detail not escaping their sight. Always engaged in activities be it going up the window to watch squirrels or birds, occupying a refrigerator or cabinet top to supervise activities of the house or getting up to your desk to see you working at the computer, even trying to seek attention. Though not a lap cat because of its curious and playful disposition, it bonds well with its family, forming a dog-like attachment, loving to snuggle with them in bed fondly. Has a soft, soothing, chirpy voice, but are outgoing, affectionate as well as friendly with anyone it meets. Is immensely fascinated towards watching birds, and a bird feeder kept by the window would help it fulfill its passion. Though social and amicable is not comfortable enough with houses having many cats, since they would not get complete attention in such cases. Detests being left alone for long periods as it can make them destructive. Enjoys swimming and other water games, since its roots lie in the Indian Ocean. Households that would not mind a superbly active and exceedingly curious cat being all over the place, intervening into everything going on. People desiring for a companion cat that would entertain them with their merry acts. Those having a large garden with beautiful birds thronging it all day, or even parrots or other pets at home, to satisfy its love for birds. Families where someone of the other is available to give the cat company. Houses with fit and energetic people who have the stamina of running along with this active cat that would always be unto something of the other. 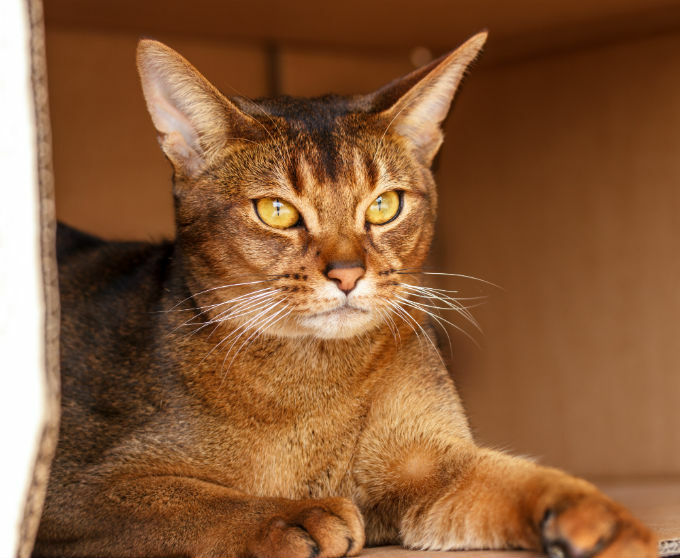 Owners on the lookout for a talking cat that would not just communicate them with a meow but would be more human in their interactions, chirping and trilling soothingly. Their short fine coat needs minimal grooming with a weekly combing sufficient for removing dead hair. Other hygiene measures include brushing their teeth once in a week, trimming their nails, as well as cleaning their eyes and ears using a moist cloth or cotton balls to keep any infections at bay. 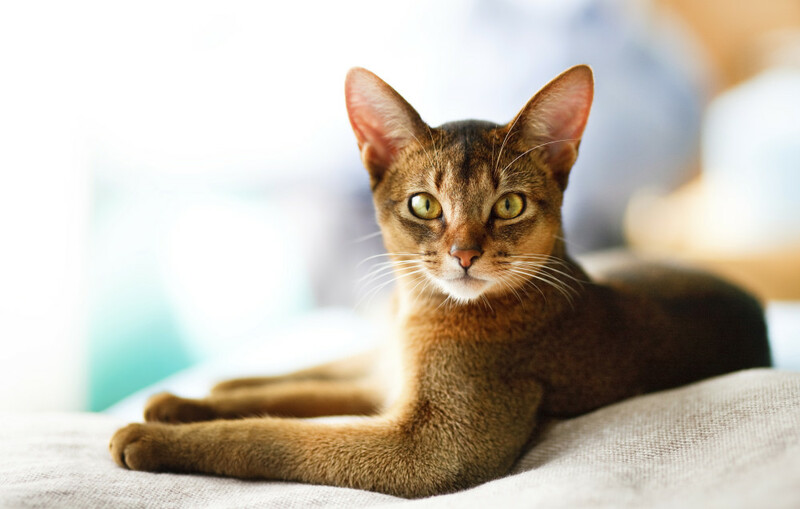 The diseases that the Abyssinians are prone to include gingivitis, patellar luxation, familial renal amyloidosis (kidney disorder leading to failure), eye problems like progressive retinal atrophy, and pyruvate kinase deficiency. Keeping their intelligence in mind, you can teach them to solve any puzzle perhaps a Rubik’s cube that they would crack in no time. Solve the puzzle piece on your own first in front of your cat, as it takes over, give directions, and in no time he would be in action like a pro. Since it is always on the run, you can leash train it to prevent any accidents while taking it out. However, instead of collars, a walking jacket would be more suitable as they would be comfortable with it. They would eat good quality cat food, alongside a diet rich in protein and vitamins. Choose a god quality canned food for these energetic cats. 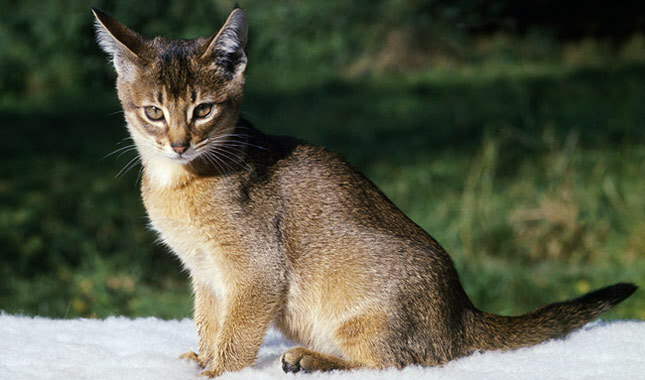 The earliest identified Abyssinian, subjected to taxidermy, presently resides Holland’s Leiden Zoological Museum, labeled as “Patrie, domestica India” by its founder. They appear in Simpson’s 500th episode, marked as intelligent cats, possessing the ability of changing channels on television. In the adventure film One Hundred and One Dalmatians, Sergeant Tibbs was an Abby. 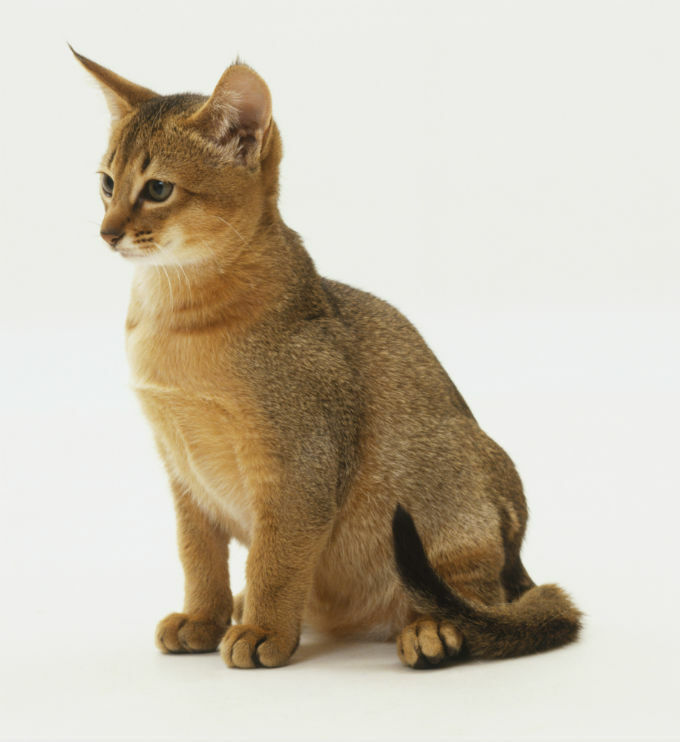 Published on July 20th 2017 by Maxi Gold under Egyptian Cats,Natural Cats. Article was last reviewed on 28th July 2017.